This is a place where you can be yourself. You don’t need to dress up or pretend to be something you aren’t. God is ready to meet you right where you are. It’s ok if you don’t know all the songs or anything about the Bible because our goal is to help you find your way back to God and learn how to make a lasting impact in the world. Whether you are thinking about checking out The Gathering for the first time or you’ve already been a few times, we are honored you would choose to spend a Sunday with us as we pursue God together. Most importantly we want you to know that no matter who you are, where you’re from, what you’ve been through, who you vote for or what you look like – you are welcome here! 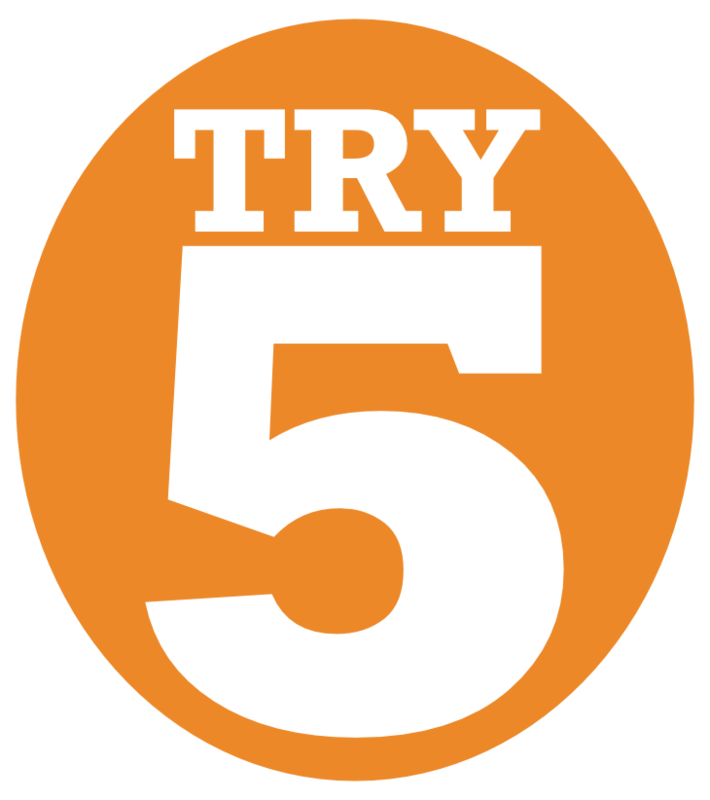 Take the “Try 5” Challenge! We understand that deciding whether or not this is the church for you or your family is too big to make after just one visit. That’s why we want to invite you to take the “Try 5 Challenge” and try us out for 5 weeks and then decide. If you’re ready to take the challenge, you can click here fill out the Digital Connect Card and let us know what week you’re on. 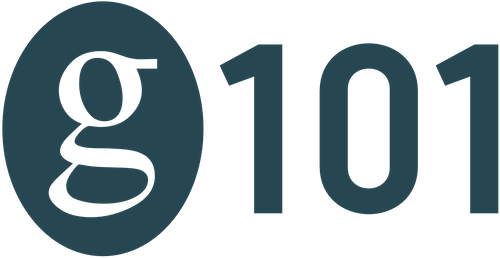 G101 is a great way to find out more about who we are, what we’re all about and how you can get connected to help make an impact for Christ. You’ll also have the chance to meet some of our pastors and staff and ask any questions you might have. Lunch & childcare are provided. Get more information and sign up here. Our goal is to provide a safe and fun environment for kids to be kids while learning about how much God loves them. Our incredible team of volunteers at both campuses make Sundays an experience that kids absolutely love every week. 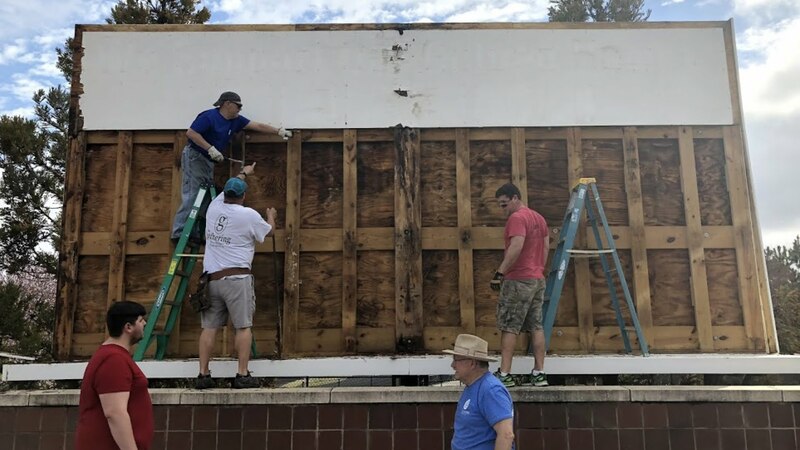 Our youth ministry is all about helping students become followers of Jesus and helping them impact their schools, their workplaces, their families, and more — for Him. We have 2 campuses – one in Fuquay Varina and one in Holly Springs. The Holly Springs Campus is located at Southern Wake Academy – 5108 Old Powell Rd. and has one service at 11:00am. As you get close to the parking lot entrance, you’ll see the orange and white flags and signs and our parking lot greeters in yellow vests will show you to the closest available spot. One of our awesome volunteers will help your child get securely checked in and make sure all your questions are answered before you go to worship. You’ll be given a numbered tag to bring with you after the service when you check out your child. When you walk in the main lobby, you’ll see people wearing “VOLUNTEER” shirts who can get your kids checked in right there. Once you come into the lobby, turn right and follow the signs downstairs and the check-in station will be directly in front of you. YES! You have your choice of coffee brewed fresh just for you – along with creamer and sweetener. And yes – you’re welcome to take it with you into the service. Where do I get info about getting connected? We have an info desk in the lobby with someone who would love to help you get connected, answer any questions you have, help you register for events, and even hook you up with a swag bag full of great stuff! Shoot us a message at hello@thegathering.cc and we’ll do our best to answer any questions you have. As you get close to the parking lot entrance, you’ll see the orange and white signs (or flags) and our parking lot greeters in yellow vests directing you to the closest available spot. Enter through the main entrance and proceed through the lobby down to end of the hallway, turn left and you’re there! Once you come into the lobby, turn right and the check-in station will be directly in front of you. Look for the 4gKids sign at the door to the left of the main entrance. Once you’re in the door, you’ll see the check-in station with more incredible volunteers who will check your child in and introduce them to other kids their age. The biggest challenge will probably be convincing them to leave when you pick them up after the service! YES! You have your choice of coffee brewed fresh in one of our Keurig coffee makers – along with creamer and sweetener. And yes – you’re welcome to take it with you into the service.